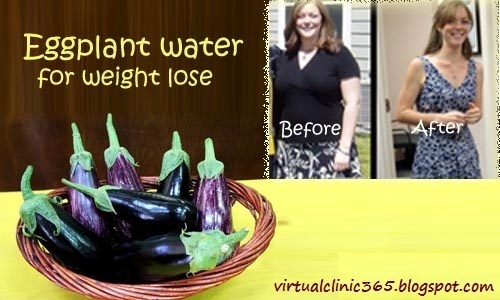 Today we will discuss about the “miracle water”, it made from the eggplant and lemon. This recipe is not only use for weight loss, it give you also more power and energy thorough out the day. Eggplant is very familiar vegetable and we know their health benefits. So that, the mixing of lemon juice in eggplant water is increase their beneficial properties which helps to reduce the fat from the body. Eggplants have many benefits, without any doubt. Eating the eggplant help to control your cholesterol, provide you vitamins, nutrients, fiber, energy and minerals required for your body. It also helps to control your waist and extra body fat. Here is the some benefits of eggplant, you must know it. Egg plants have excellent properties to improve circulation due to the high content of vitamin E, it control the heart problems and promotes blood flow. It contains a lot of water, so that their low calories make good addition to any diet. It makes your memory good because of their high potassium content. It controls your sugar level, best for the diabetic patient. It helps to control cholesterol. It helps to reduce fat from body. Prevent the constipation problem because it contains high fiber. Make strong the liver and control its diseases. It contains iron and magnesium, so that it helps to prevent anemia and improve the heart and muscle functions. Also help to firming the immune system. 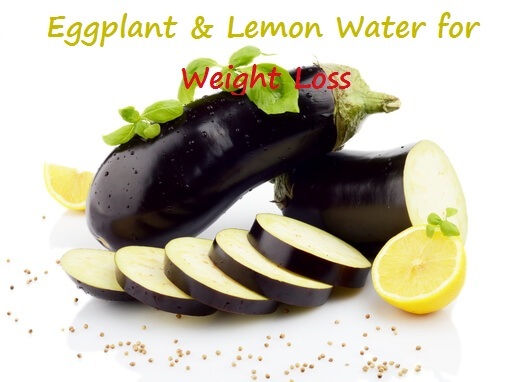 I am telling you the magical drink for weight loss with eggplant and lemon. It’s very easy recipe you can make it at your home. So let’s get started for smart body shape. First, wash your eggplant and then make their slices. Take a jar and place the water in it, and put all slices into the jar and heat it over low flame for 5 minutes. When it boils, stop the heat and wait for the cold. When it becomes cold, throughout the eggplant slices from the jar. Now add 4 tsp of lemon juice in the water. Mix well and save it into the fridge. Daily drink one glass of water, it will help to reduce belly fat. When you like taste of this water, then increase your drink one more glass and till up to 4 glass per day. This routine help to reduce your fat and you live healthy always.